Some pics from the AAC Blog. Tstackz and geribac like this. In times of peace, a wise man prepares for war. To be honest I&#039;m not wild about the foregrip in the Remington photos, does anyone know if it will be available with the Magpul style foregrips? Evan T. Williams (call me Tucker). At Marine Combat Engineer School, having fun blowing SH*T up. 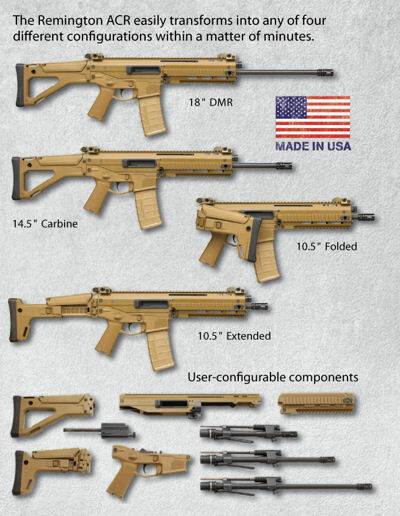 Buy Bushmaster ACR??? Or wait & see what Remington has planned? All times are GMT -6. The time now is 11:08 AM.